Continuing on from Allure is Giving Away FREE Products Every Day in August, here are Allure’s prizes for August 29th and when to enter! 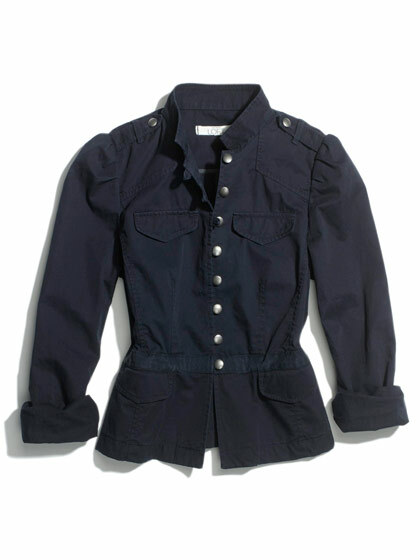 A cinched waist and cropped fit give this military-inspired jacket a dose of femininity. Log on for your chance to win one of five jackets (retail value: $79.50). Seal split ends and thicken hair with this strengthening shampoo and conditioner. The first 100 Allure readers to sign up will get both free (retail value: shampoo, $3.99; conditioner, $3.99). Glucosamine, vitamin C, and luminizing particles in this serum make skin appear instantly brighter. The first 20 Allure readers to sign up will get one free (retail value: $58). Learn More: L’Air Du Temps By Nina Ricci For Women. Eau De Toilette Spray 3.3 Oz. These polishes come with a magnet that creates ripples of color through the polish. The first 100 Allure readers to sign up will get the set free (retail value: $30 for set of three). This caramel lipstick adds definition to medium and dark skin tones. The first 20 Allure readers to sign up will get one free (retail value: $24). Go here at the designated times to enter to win! Hey there, You have done an excellent job. I will certainly digg it and in my view suggest to my friends. I’m confident they’ll be benefited from this web site.